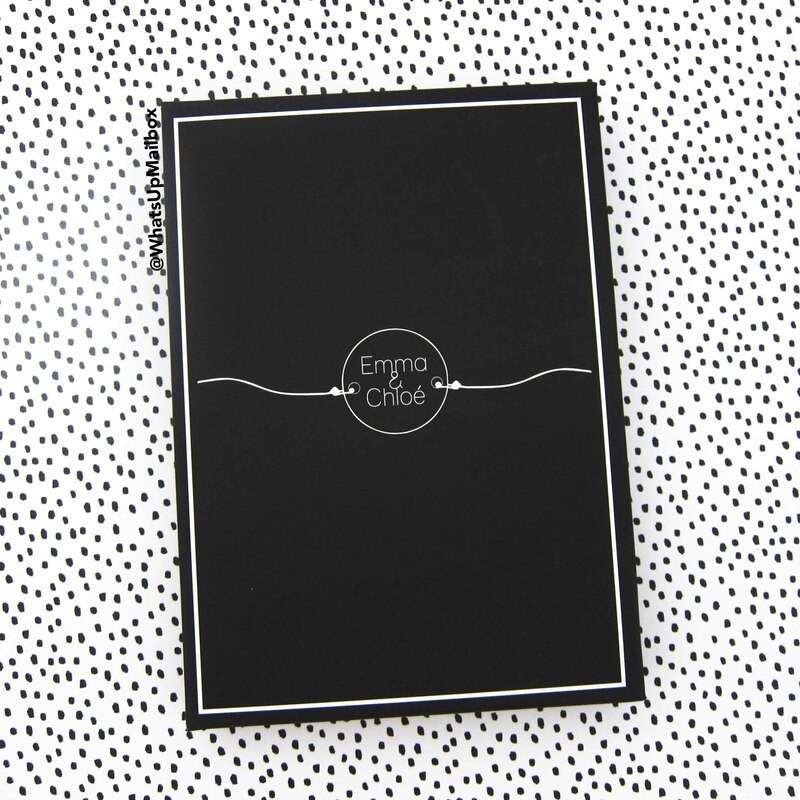 Emma & Chloe September 2016 Review + 50% Coupon! 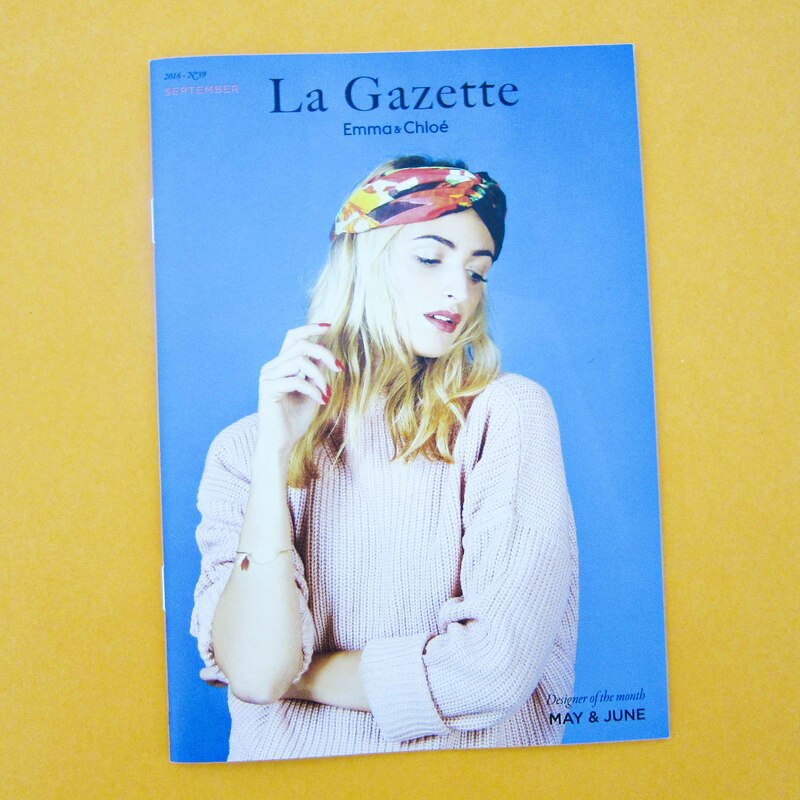 Emma & Chloe is a French jewelry subscription box that ships a jewelry item every month that’s made in France. They initially only shipped to Europe but started shipping to U.S. this year. 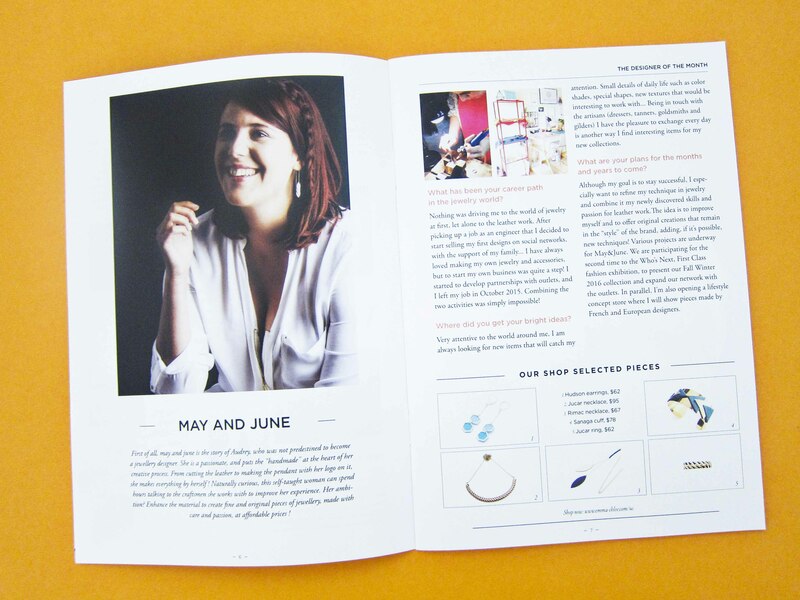 Inside you’ll find a section about the designer of this month’s jewelry, and a Q & A about her inspiration and background. 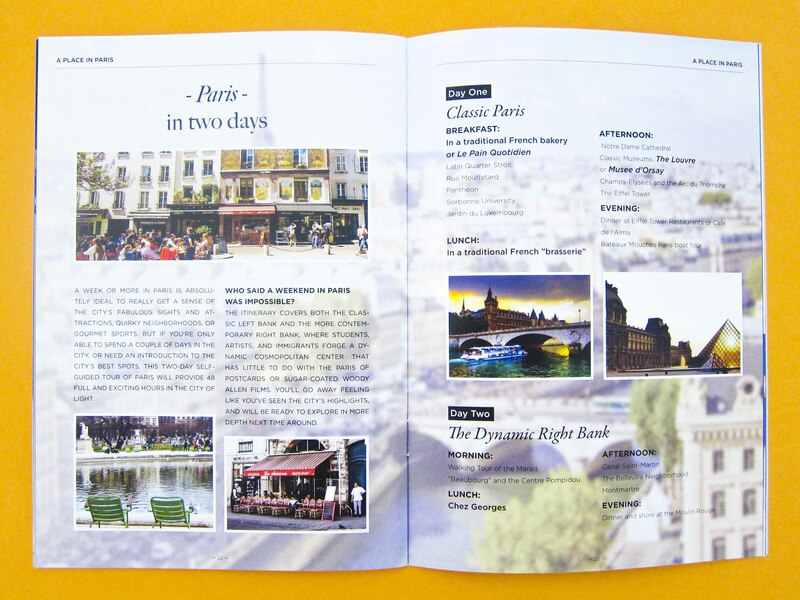 You’ll also find a travel section and guide of touring Paris in two days! 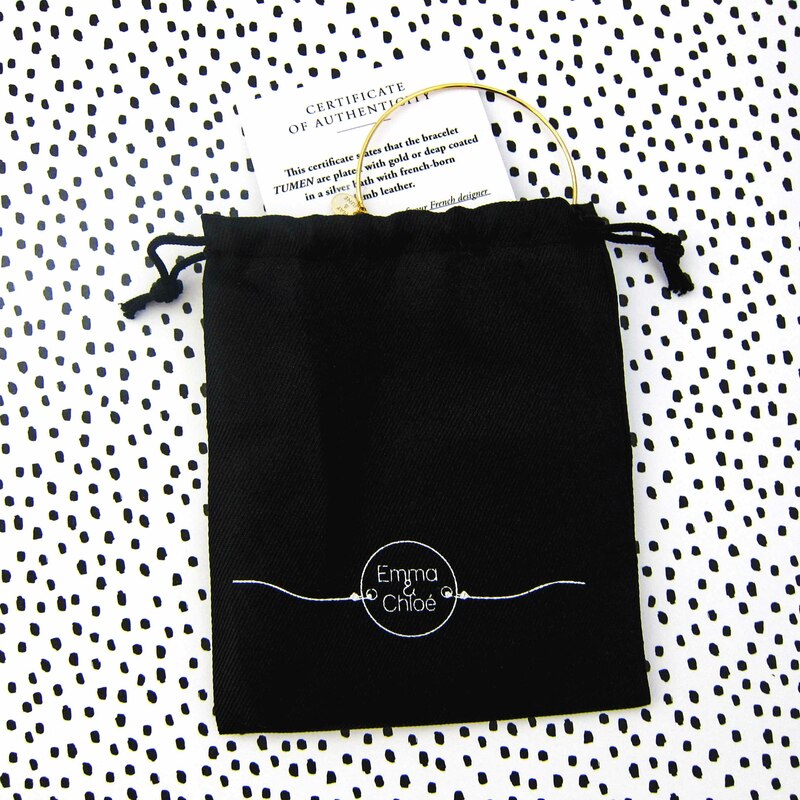 Emma & Chloe sends their monthly jewelry pieces in these black drawstring bags. It’s very handy when you need to travel as they will keep your jewels safe and organized. 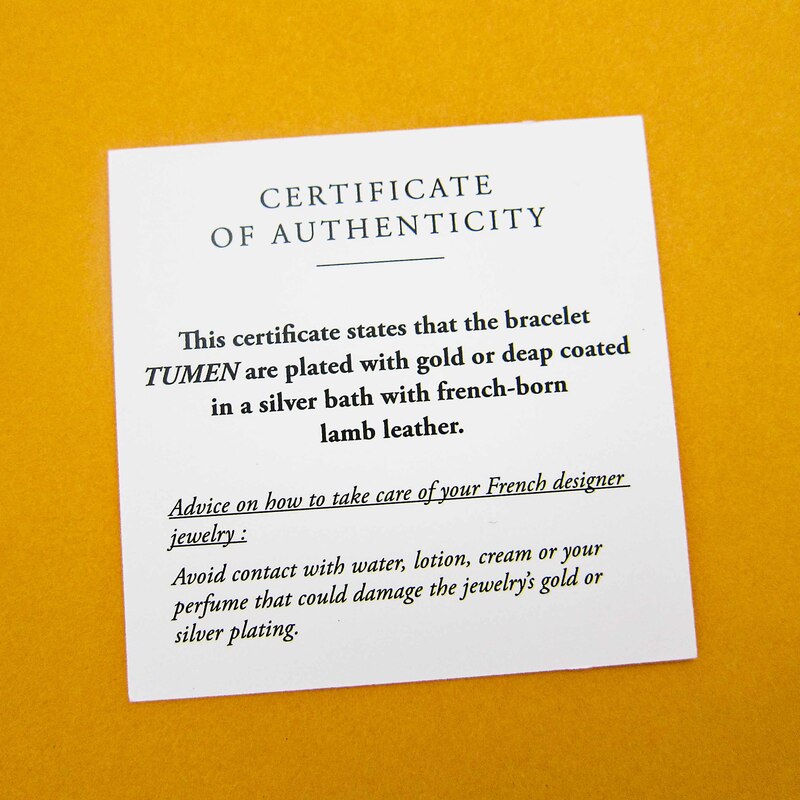 Subscribers will receive this bracelet in either Silver or Gold, depending on your jewelry preferences. I chose gold because I wear it most often when compared to silver. 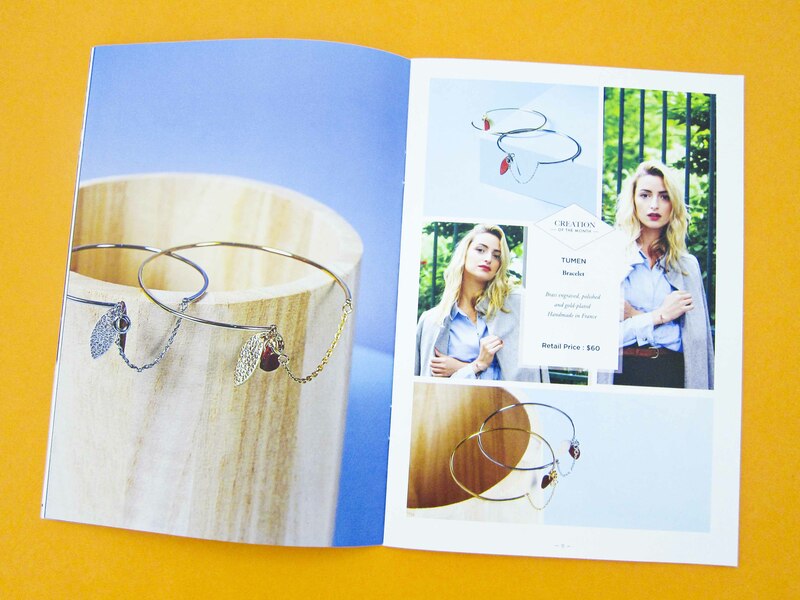 You can see both designs in the info magazine as shown below. When you complete your jewelry preferences, you can of course select gold or silver, or you can also have them surprise you every month if you wear both metals and don’t really have a preference. 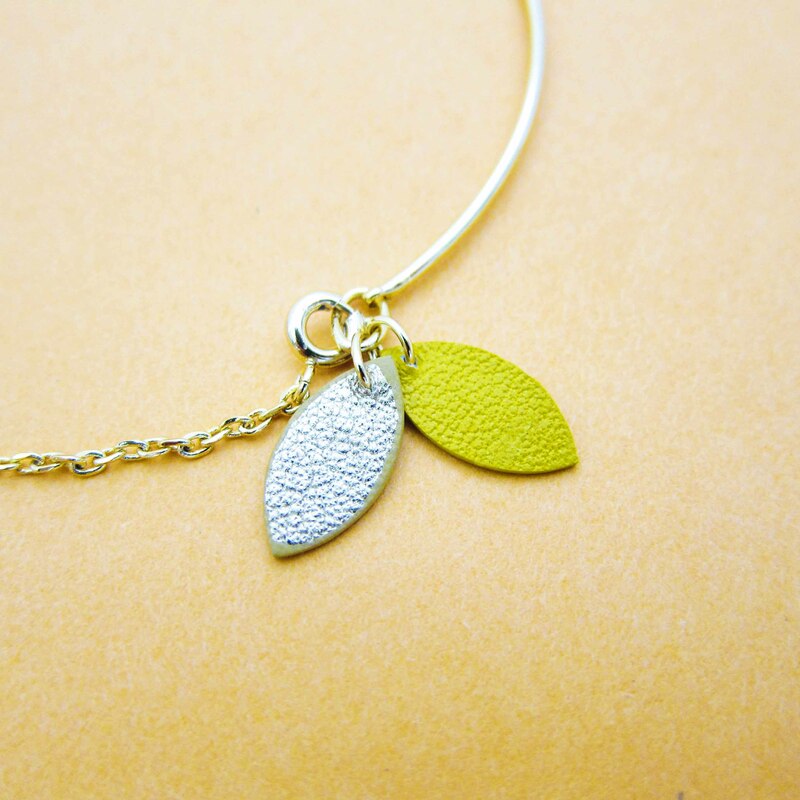 The bracelet has these two leather leaf shapes as pendants. One is yellow and the other is gold. 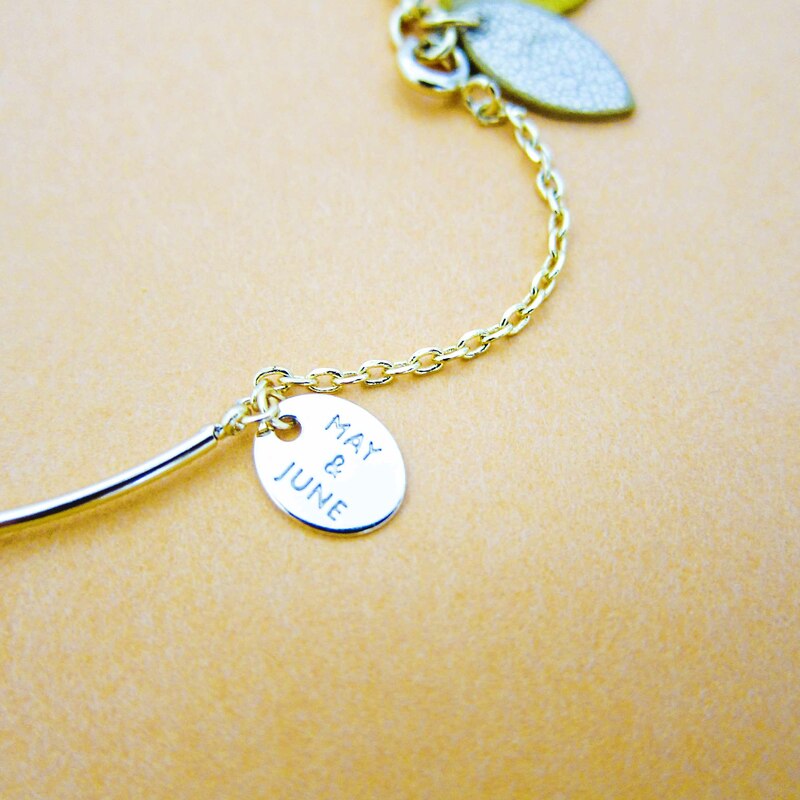 On the other end is a small gold disc with the brand logo, “May & June”. 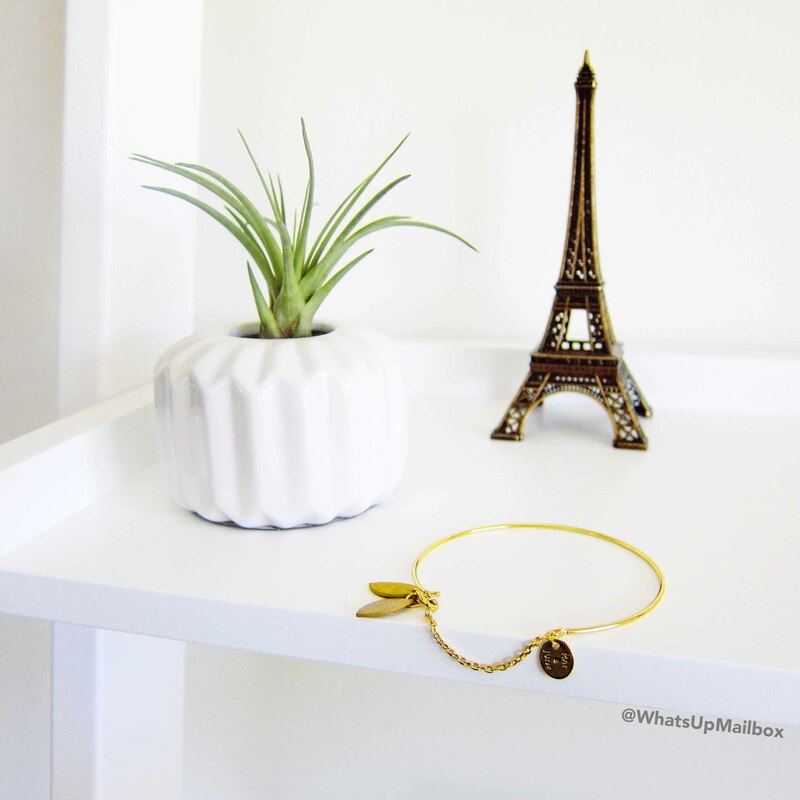 This bracelet is delicate and minimal yet still feminine. Although you can of course wear this layered with other pieces, I think wearing it alone makes the unique draping chain on this bracelet stand out. I really like this! 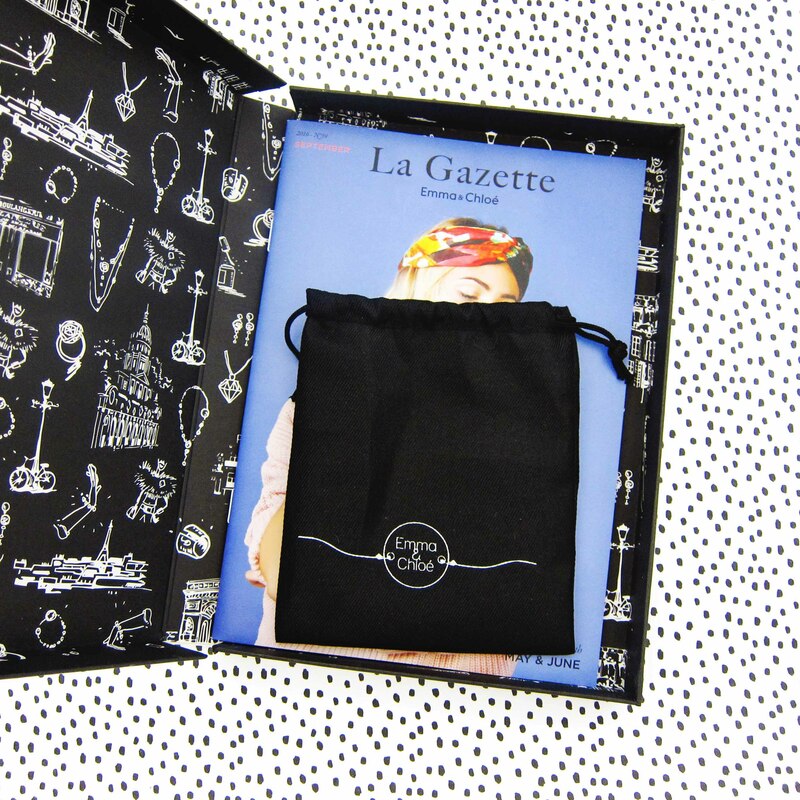 My Thoughts: It’s always a treat to receive my Emma & Chloe boxes every month, it’s like I’m getting a present directly from France! And I know I won’t be able to find any of the items here in the US which makes it extra special. Although I’m more of a statement jewelry type of gal, I also have a soft spot for delicate designs and this one definitely counts. I love how it looks on, and the draping part of this bracelet is quite unique and different than what I have, so I’m totally happy to add this to my jewelry collection. 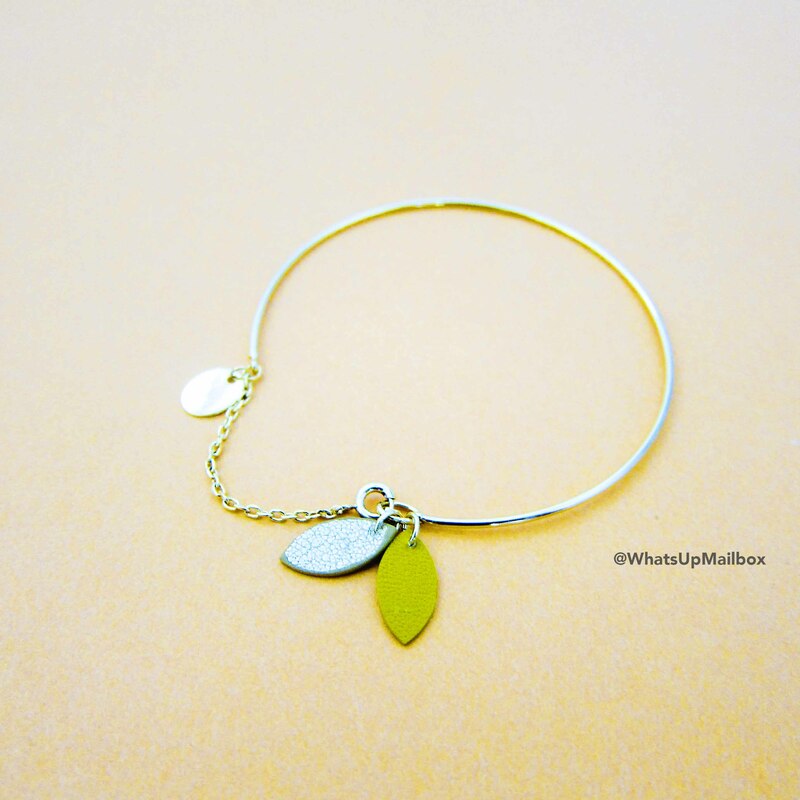 Plus the two leaves is so appropriate for this fall season! I’m sure I’ll be wearing this all season long.